To a full house at ABC No Rio, Amy Starecheski reported on her stint as a researcher in residence at Christiania, the famous, long-lived “free city” squat in Copenhagen. In the back of the room, on the grimy graffiti smeared cartons that serve as a countertop, the Brooklyn anarchist group In Our Hearts was “doing distro,” laying out a buffet of books and pamphlets. Amy is an oral historian and student of anthropology. Her presentation mixed sound clips of her interviewees, videos and stand-up analysis. She talked principally about the consensus process of decision-making at Christiania, and how it has played out during the recent years of negotiation with the Danish state. After 30-odd years of existence, operating autonomously, and thereby largely outside the laws of Denmark and the city of Copenhagen, a rightist government was elected with a pledge to “normalize” the district. Their plans included privatization of all land and buildings, and development through high rise towers. The community – which charges “use fees,” not rent to its residents – appointed a negotiating committee to talk to the state. This committee insisted to the authorities that it had no power, and must report back to the assembly of all residents to make any decision. Amy observed that, from her study of the history of colonization, peoples who refused to designate and empower leaders were more difficult to colonize. In this sense, she said, consensus decision making turns out to be a mode of strategic resistance. After some time negotating, the assembly was faced with a deadline, and a devil's bargain to privatize and develop Christiania. As part of the negotiation process, they were required to give an answer to the plan, yet were unable to reach any consensus. “Let's send someone out to play the flute,” one resident suggested. This idea excited and united the group. At an infamous 2006 press conference, a red curtain was raised and a flute player tooted while a jester dancing and scattered paper scraps. This was taken by the state as a non-answer. Clearly rooted in Christiania's long theatrical and circus tradition, this gesture was the only thing that everyone could agree upon. Despite the absurdity of it, the flute player's strategic response to the state helped to bind the community together. Why did the state forebear? Why not just clear the place? The site is surrounded by woods and clearly indefensible. As a shoemaker told Amy, Christiania is “as famous for their riots as for their hashish.” The place also enjoys wide public support in Copenhagen. 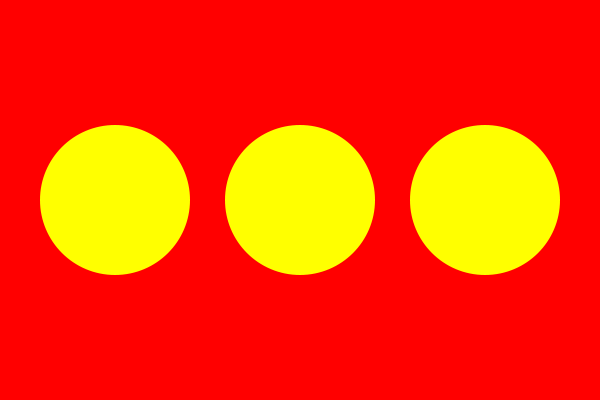 With the flute concert, Christiania called the state's bluff. There were no evictions. In March, the adverse possession case of Christiania will reach the Danish supreme court, and Christiania is expected to lose. The peril to the “free state” is far from over. 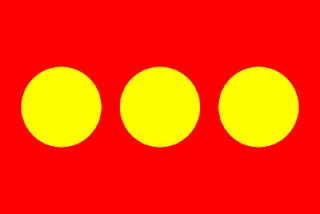 But for the while, the very form of Christiania's governance has proven an effective form of resistance. “The state abhors consensus democracy; that's the beauty of it,” said one woman. The snail is an emblem of this process, and there is a large sculpture of one at the entrance to the community. It is the mascot of Christiania. The consensus process, however, can be boring. It means many and interminable meetings. It can stifle new ideas, and keep people from speaking freely. The eloquent can use the meetings to garner power. One of Amy's interviewees said that for five years three angry people ruined every meeting by their raging. “When the structure is so loose,” she told Amy, “there will be a heightened power group. It's just not official.” (This point of view echoes the essay “Tyranny of Structurelessness” that came out of the U.S. feminist movement in the 1970s.) There were some attempts to reform the consensus process, but these were blocked by the substantial groups of drug dealers in the community, called “pushers.” Amy's interviewees agreed that in consensus assemblies there needs to be an understanding of the proper role of charisma, and controls on those with the gift of gab. When they act as spokespersons that is okay; but when they use their suavity to garner power, it is wrong. After Amy's talk, Rolando Politti, a recycling artist from the Lower East Side of New York who was also a resident artist there, spoke about the process of “normalization” that is slowly and relentlessly asserting itself in Christiania. Brindalyn Webster, another artist who researched in the community, passed out elegantly printed envelopes with quotes printed on them from interviews she had conducted. (Inside were folded up longer texts, and, unaccountably, a seed packet of catnip.) The packed house of 30-odd folks read aloud from these texts, as Brindalyn passed them out in waves. In the process, we all became a sort of theatricalized assembly of Christiania, ventriloquizing the cogent, often passionate beliefs of these remarkable people. San Francisco – As of 8:45am, 200-300 students are blocking entrances to the William J. Rutter building at the UCSF Mission Bay campus, where the Regents are scheduled to meet. On the agenda today and tomorrow are another 8% fee increase and a move to change “fees” back to “tuition,” which was formally prohibited under the California Master Plan. Cops have reportedly donned riot gear and have begun to arbitrarily charge and assault the student pickets. Already, 2 UC Berkeley students have been arrested for unknown charges. This also follows last night’s news of an agreement between the UC and UAW Local 2865, the union representing Teaching Assistants, Graduate Student Employees, and Academic Student Employees. Following 5 months of bad faith and illegal bargaining practices from the UC, unfair labor practices, stalling, walking away from the table, lying, and refusal to concede anything, the UAW bargaining team has accepted UC’s original proposal on wages, employment notification, and summer childcare in exchange for a minor concession on childcare reimbursement. If the contract is ratified by the membership, TAs will receive subinflation wage increases of 2% a year locked in for the next 3 years. 8:55am: There was a confrontation between students and police in the parking garage. Many of the Regents have been able to enter, smiling as they watch cops hit students. 9:15am: Reports that students and workers have pushed through the police barricades and are storming the building. Several students are badly hurt from police attacks and some have been maced. More arrests, 5 total: 3 Berkeley, 1 Santa Cruz, 1 Davis. 9:20am: Confirmed: students are inside the building! 9:30am: Police are indiscriminately pepper spraying students. Police have put masks on. 9:45am: Daily Cal reports that Berkeley student government Vice President Ricardo Gomez was among those pepper sprayed by police. BERKELEY, California – As of 6:30am this morning, students at UC Berkeley have begun blocking the entrances to the California Hall, the main administrative building on campus. All entrances are surrounded. 8:50am: UCPD has opened up an entrance. Alameda sheriffs have come as back up.